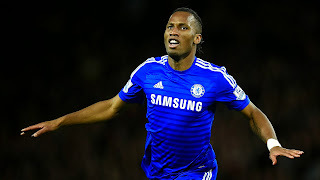 Didier Drogba is open to the idea of moving to Major League Soccer after announcing his departure from Chelsea. Drogba brought the curtain down on his Chelsea career as the Premier League champions defeated Sunderland 3-1 on the final day of the season. It was announced on the morning of the match that the 37-year-old would not be renewing his contract at Stamford Bridge but the Ivorian is not ready to retire from football. Having ruled out a move to another Premier League club, Drogba has hinted that he could join Frank Lampard and Steven Gerrard in the United States. “There are some really fantastic teams in the Premier League but my love for this club. I can’t share it with another English team,” he told the Daily Telegraph. “Since I put the news I am leaving Chelsea on social media, I was in the dressing-room and I was receiving some calls from teams which is really unusual.